New music on pink vinyl! 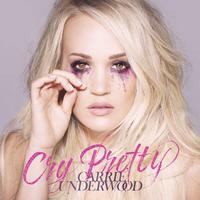 Featuring "Cry Pretty" and "Love Wins"
Marking her first release with Capitol Records Nashville, Cry Pretty is Carrie Underwood's sixth studio album since rising to fame after winning the fourth season of "American Idol" in 2005. "At this point in my career, I feel stronger and more creative than ever," Underwood said in a statement. "I think you can hear that in this new album. It's emotional, it's soulful, it's real and we also have some fun on there too. I hope everyone loves it as much as I have loved making it." Underwood's debut album, Some Hearts, was released in 2005. Bolstered by the huge crossover success of the singles "Jesus, Take the Wheel" and "Before He Cheats" it became the best-selling solo female debut album in country music history, the fastest-selling debut country album in Nielsen SoundScan history and the best-selling country album of the last 14 years. Underwood won three Grammy Awards for the album, including Best New Artist.